Cincinnati summers always end with a bang, not a whimper. Literally lots of bangs, thanks to Western & Southern, WEBN, et al. 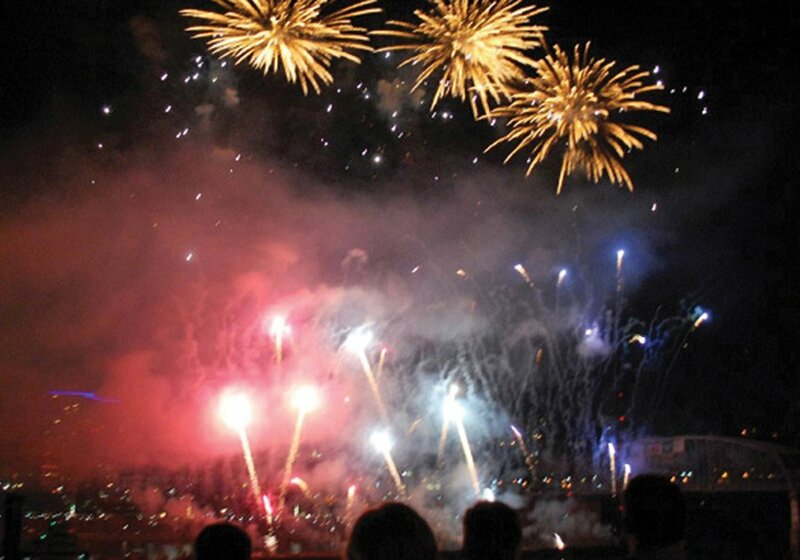 And there are several opportunities to enjoy the display, one of the largest anywhere, while also contributing to an important cause or organization in our region. Here are some choices for you … check in early in case these have sold out. Nearly 200,000 rubber ducks swim in the Ohio River for a chance at winning prizes. Ducks, $5 or six for $25. Proceeds benefit the Freestore Foodbank. You can still buy a duck and test your luck! The Krohn’s 2018 Fall Show opens Labor Day weekend. The weather’s always fine inside the conservatory, kind of like stepping into your own indoor garden. This flower show will be blooming with homemade style and the sweet sight of chrysanthemums, asters and verbena. Through Oct. 21. To commemorate the centenary of the late civil rights advocate, the Freedom Center reprises this exhibit, first shown here in 2017. A partnership with South African documentary photographer Matthew Willman, the exhibit shares photographs by Willman of locations that figured importantly in South Africa’s route to racial equality and Mandela’s personal fight for freedom. Displays also feature artifacts from Mandela’s life on loan from The Nelson Mandela Foundation. Through Jan. 1. 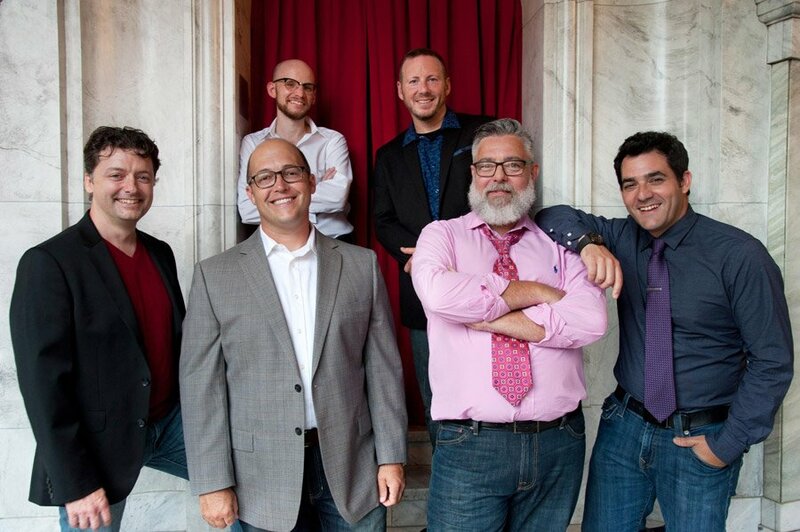 Cincinnati has not had an a cappella group of this quality in more than 15 years. These guys combine taut, precise harmonies with a freewheeling musicianship that’s just plain infectious. This concert serves as the release party for their second recording, “All Wet.” Selections range from The Four Seasons to Ambrosia to Taylor Swift, so this should appeal to all ages. And without instruments to tip you off, it’s all just music, right? Here’s a great chance to bring your kids or your grandkids and sample, for free, a wide range of chamber music offerings in the Queen City. Ten ensembles in all, each playing about 20-minute sets. Cincinnati is blessed with several professional orchestras, and this weekend you can sample two, al fresco. The fact that we can field these ensembles, and several others, with highly skilled players is a tribute to the region’s musical heritage. 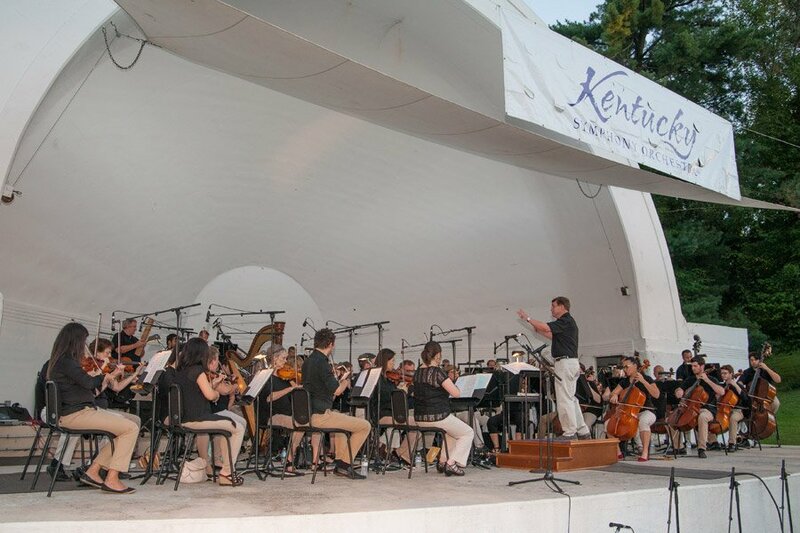 Saturday evening features the always creative Kentucky Symphony, led by J.R. Cassidy, and includes your usual blog host, violinist Tom Consolo (who could not resist contributing a couple of curveballs to this post). J.R. continues to be among the most imaginative programmers anywhere, and for this show he’s put together more than a dozen popular Broadway overtures by Gershwin, Kern, Berlin, Porter, Loewe and Rodgers. It’s like a greatest hits of musical theater without those pesky lyrics getting in the way. (Just kidding, singer friends!) If you want the Lerner, Hammerstein, etc., you’ll have to supply it yourself by singing along. TANK offers a shuttle from Covington Catholic to the bandshell. On Labor Day evening, CSO pianist Michael Chertock switches hats to lead his band, BAMSO, in a concert of movie music, featuring the gifted and prolific John Williams. No doubt you’ll hear lots of familiar faves here, as well. For fun, listen for themes and textures he might have “borrowed” from classical composers. Imitation is the sincerest form of flattery, after all. Preview performances begin this weekend for season-opening shows by two of the areas best professional theaters, and they could not be more different. “Fly by Night” is described as a “darkly comic rock-fable,” a tale of young love featuring two sisters exploring fate and fortune, in the company of a guitar-toting sandwich assembler, in New York City during the blackout of 1965. Runs through Sept. 29. 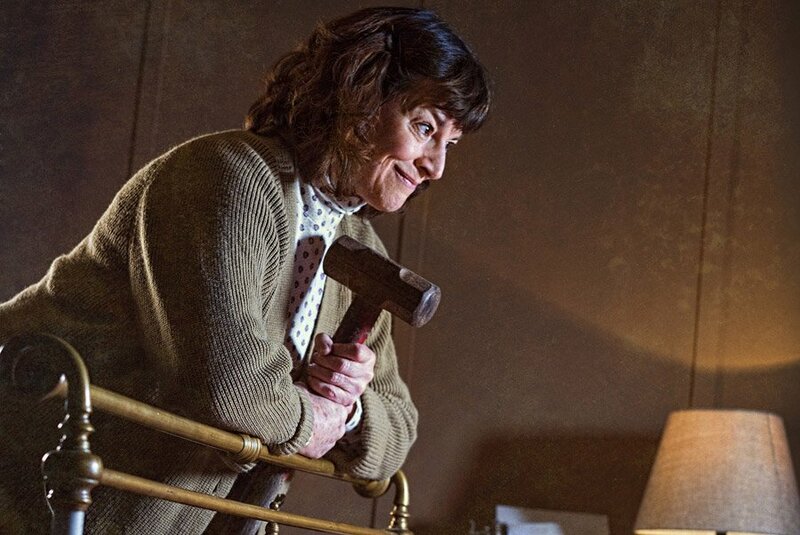 “Misery” is based on the novel by Stephen King and the vehicle for Kathy Bates’ Oscar-winning and spine-chilling movie turn as a famous novelist’s “Number One Fan.” While this show could also be described as darkly comic, your laughter here is more likely to be preceded by a loud gasp – and any aspirations you have to be a famous novelist may just dissolve into a puddle below your seat. Through Sept. 29. Rodriguez is an emerging artist who recently moved to Cincinnati. 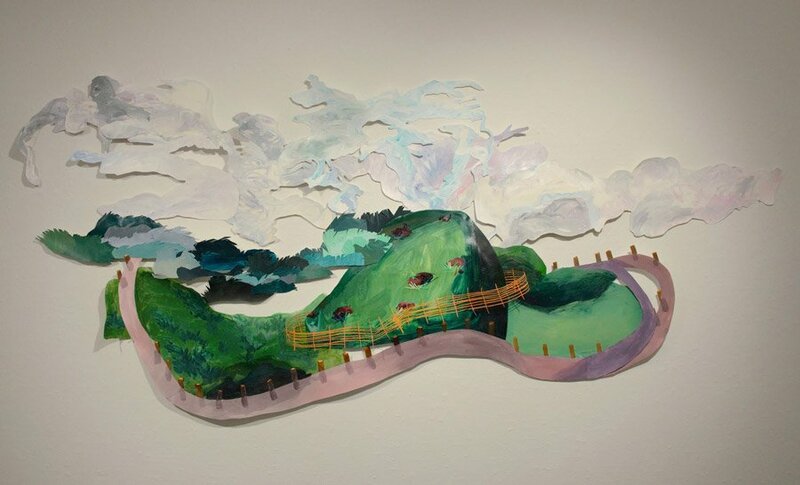 Her work in collage and sculpture manifests itself in nostalgia and the tactile nature of creating with our hands, employing basic materials such as paper, paint, scissors and paste. Show continues through Sept. 21. Emily Hanako Momohara, associate professor of studio arts, curated this show, in which artists wrestle with the juxtaposition of love of country and participation in democracy. This exhibit is part of the 50 State Initiative, created by For Freedoms, “a platform for civic engagement, discourse, and direct action for artists.” Show continues through Sept. 21. The exhibit explores ways artists frame human and plant interdependent relationships.